When I discovered Borrow it Bindaas it could not have come at a better time. My cousin’s big fancy reception was around the corner, and I wanted to wear something that would impress my Indian aunties! During countless family events the women of my family have doted over the best dressed, complimenting and comparing outfits like fine jewels they had discovered. I knew I wanted to wear something intricate with a bit of shine that also said formal attire. Borrow it Bindaas saved me from having to drive around and search the few and far apart Indian retailers in my area. 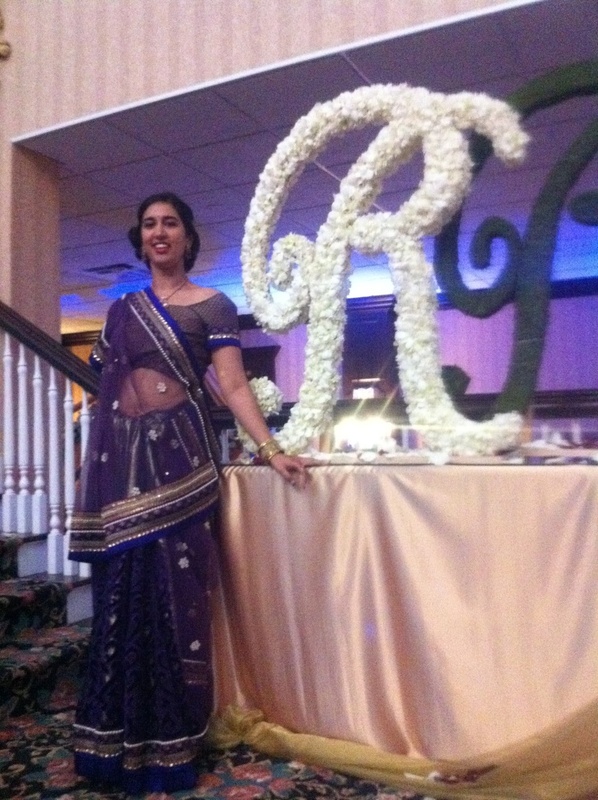 Their selection was great, and I chose the gorgeous Damask Purple Orchid Saree. The Kali skirt made this so easy to drape, and it fit like it was made just for me. I even got to plan out my accessories in advance and throw them into my order at no big cost. I loved the package that my saree came in, and the adorable jewelry pouch. I used that little bag to hold all my things for the wedding, and I was happy to show it off to my aunties! On the day of the event I felt best dressed (next to the bride, of course), and my aunties were very quick to tell me how pretty my saree was! They said it was glamorous and unique from the ones they see in Indian saree stores. I was very proud of myself for having picked it out.The return was a piece of cake. All I had to do was put it in a pouch and drop it off at a UPS store. That was it. No dry cleaning, no hassle, no worries. Thank you, Borrow it Bindaas, for being so flexible! And for offering a service that lets me amp up my wardrobe without dropping hundreds of dollars. Next time I go to a reception, I will be borrowing one of your fancy salwars!